I wanted to take a second to thank Chris and all the guys at AAMCO in Princeton, WV!! Monday, June 9th I was driving from Knoxville, TN through Princeton, WV while participating in the Hot Rod Power Tour. I was in my 1969 Pontiac Firebird. 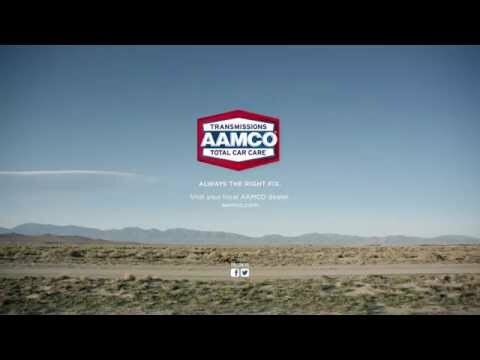 I experienced a very bad transmission leak on the highway and was directed to Chris at AAMCO. When I pulled into his shop, he could tell that I was in need of help and quickly. He and his guys pulled my car in and in under an hour had the transmission sitting on the stand and a new seal in hand. Once the transmission was inspected, it was discovered that the torque converter was damaged and would need to be replaced. Chris got on the phone and made what seemed like a dozen calls and was able to locate one about a 100 miles away. I rented a car that night drove to where the part was and picked it up the next morning and got it to the guys at the shop. I was back on the Power Tour by 10:00 the next morning and never missed a check in! Chris and all of the guys stayed late and worked quickly and got me back on the road, and only charged me about $475.00. These guys are top notch in my book and deserve an award of some kind!! Thank you! !